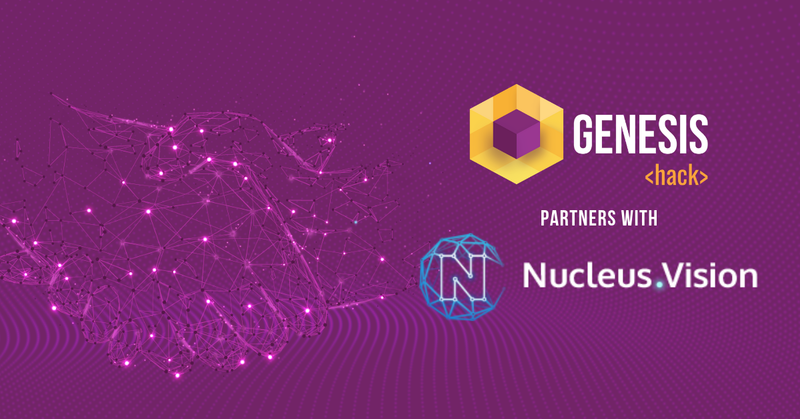 Nucleus Vision, a blockchain-based IoT personalisation company, will be co-hosting Genesis Hack, the world’s biggest blockchain hackathon with IBC Media. Nucleus Vision works on the employment of blockchain technology to disrupt the retail industry by personalising shopping experiences for customers. The company will provide technological support and knowledge to Genesis Hack. NucleusVision has done exemplary work with the blockchain technology by employing it in the retail sector to improve the way people shop. This partnership opens roads for Genesis Hack developers to learn about the workings of the blockchain technology by one of the best in the industry. “Genesis Hack has taken on the mission to give India the blockchain revolution it needs. We support their aim of educating the Indian developer community about the scope and potential of blockchain over the course of 6 months. Genesis Hack is providing the developers in India with an opportunity to gain experience in a technology that is here to stay. We will work with them to sharpen the developer talent in India.”, said Abhishek Pitti, CEO of Nucleus Vision. The partnership will also explore pedagogical exchange between industry experts and the developers aimed at helping them understand the various use cases of the technology. “Nucleus Vision has been known for its brilliant employment of the blockchain technology. We are happy to partner with them and look forward to the knowledgeable insights they will provide to the Genesis Hack developers. Their expertise adds unparalleled mentorship to our hackathon and takes us a step closer to building a brilliant blockchain-ready developer community in the country.”, said Raghu Mohan, CEO of IBC Media. Genesis Hack is a blockchain hackathon that is dedicated to building and nurturning India’s blockchain developer community.